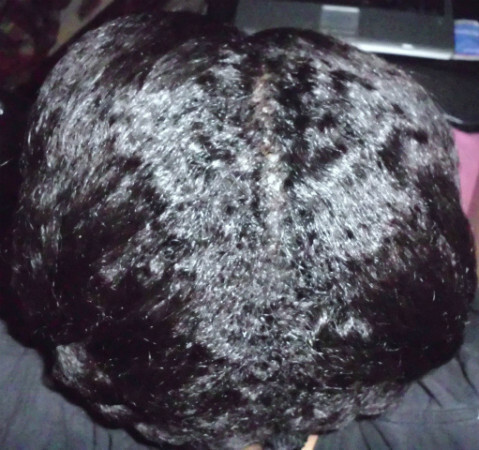 Latest hair pic…two weeks without washing. 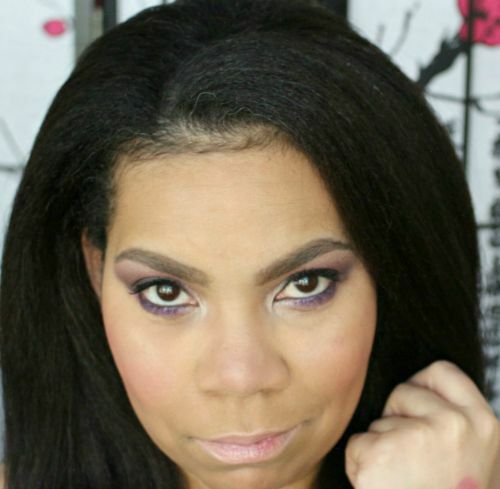 Pre-pooing before shampooing will add additional moisture to dry hair and reduce breakage. It will add shine and luster to the hair. 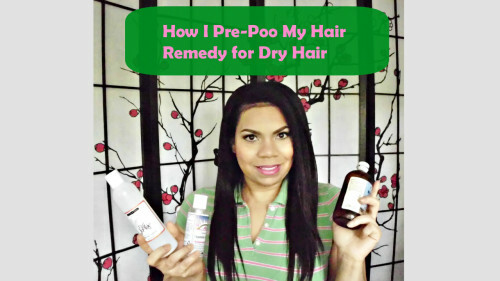 A pre-poo is also a means to protect the hair against the drying and stripping effects of sulfate based shampoos. I would recommend an Oil Pre-poo with Grapeseed Oil or other light oil. A conditioner mixture with no protein to very low protein conditioner combined with oil. What do I use to pre-poo? 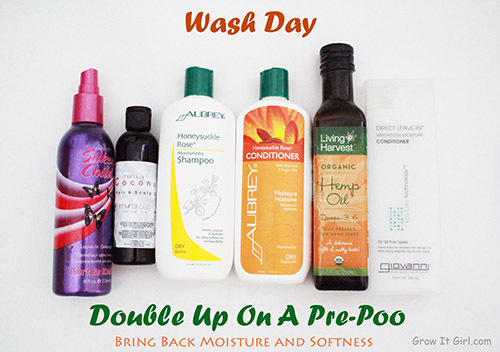 Oil Only Pre-poo – I used Grapeseed Oil only and follow the step above. 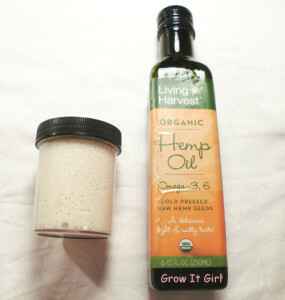 My mix varies from week to week with conditioner; however, I always include Wheat Germ Oil. (I take allergy pills just in…wheat allergies) However, my favorite mix is JessieCurl Deep Conditioner. How do you pre-poo? 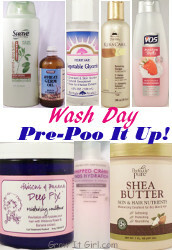 What products do you use to pre-poo? I love putting natural products in my hair. I haven’t used any commercial brands in a long time. I have changed to moroccan clay powder, aloe vera juice and some coconut oil. Coconut oil is like my favorite thing now! I’ve never heard of pre-pooing. I think it’s a great idea, but man do I not take care of my hair the way I should. So many great tips. Thanks for sharing with Creative Style! Thanks April. Some say I’m hair obsessed. I set a goal to grow to hip length and I did what I needed to make it. Cap it all up and get under the dryer or heat cap for 15 minutes. Hair is usually like butter afterwards and scalp is tingly. Looks like you have a great pre-poos routine. I love anything Ayurveda.